First I want to thank you so much for visiting Saving Dollars and Sense! My name is Kristie and I began a journey years ago to get free from debt, many have decided to join me on their own journey’s and that is how this site was born. You can read more about me here. I realize that there is a lot to take in here and it can become a little overwhelming, especially if this is your first time visiting. So I wanted to put together this page to help you find your way through all the great information there is to find here and make the most of the site. It has always been my desire to help others navigate their way on their own frugal journey to find financial freedom, I share more about my personal Story of Grace here. Please keep in mind that I am learning as I go along with you, I have not “arrived” but I have learned a few things that work as well as many that don’t in my journey. We are all on our own unique journeys, so not everything I share here will work for you. So take what does work for you and use it, but please don’t feel burdened to follow every single thing if it doesn’t work for your family. 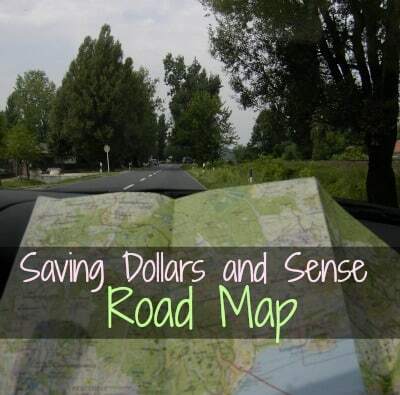 Money Saving Ideas and Frugal Living Tips – You will find lots of real life tips and tricks for learning to live on less such as Menu Planning and How to Create a 30 Meal Plan Rotation as well as Changing Your Financial Perspective. Coupons, Deals, and Freebies – I have learned that I can save a ton if I just utilize some tools that are available FREE to anyone who wants to use them. Below I’ve listed my favorite money saving tools so that you can become a Money Saving Master too! Coupon Database – This is a great way for you to do your own grocery matchups. If there are any coupons you are looking for, this is the best way to search. Just type in the product you are looking for and it will show you every coupon available in newspapers or online. Printable Coupon Sources – These are the printable coupon sources that I love and visit often. Recipes – I love trying out new recipes, and try to share a new one each week or as often as possible. These are the recipes my family approves of and I find to be easy and budget friendly. A few of our favorites are The Ultimate Peanut Butter Cookies, Homemade Shamrock Shake, Sand Pudding, and . You’ll be able to find all of the recipes I’ve shared here. Giveaways & Reviews – I regularly share great giveaways here of things I know you’ll love!